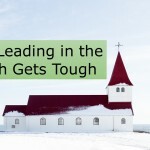 Unless you’re in a mega church where you have a high level of specialization within your role, you probably find yourself struggling to juggle all the elements and ‘hats’ you wear as a pastor. 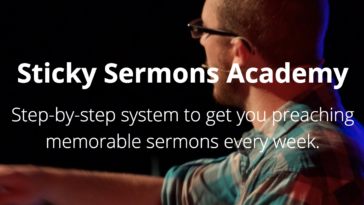 One of the main things you have each week is preaching the Sunday sermon and yet you find that sermon preparation can easily get pushed to the back burner in any given week. 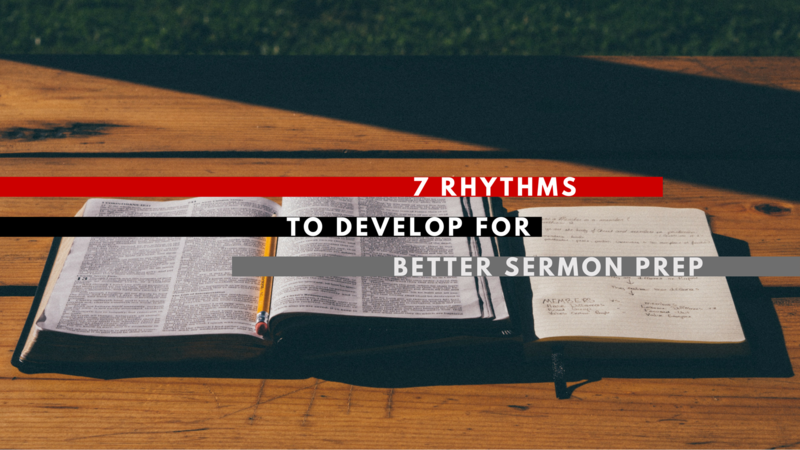 To help combat this dynamic of always feeling as though you’re completely starting from scratch each week for the sermon on Sunday, it’s a great practice to find rhythms to develop for better sermon prep. When you are able to develop set rhythms for your week, you’ll find that you’re able to get further ahead of your sermon prep than just the week of. 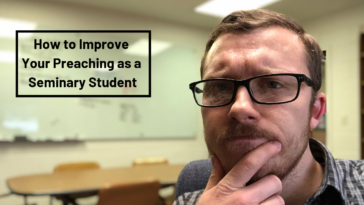 Nothing in this article is going to necessarily be ground breaking, however, it could change everything for you regarding sermon prep. So consider making these rhythms a regular part of your ministry work. Whether you plan a year of preaching or a few months ahead, the results are the same: you’ll greatly benefit by knowing ahead of time what you will be preaching. The rest of these rhythms are predicated on you knowing a few months, half a year, a year, or more in the future of what you will be looking to preach on. If you preach in sermon series – topical or expository – you’ll find that this approach will allow you to get way ahead on research. 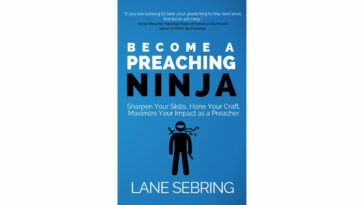 If you’re looking for more discussion on how to create a compelling sermon series, give this a read. This may not be thought of as a rhythm, however, it is a key tool in making the most of the rest of the rhythms that are identified below. You may want to open a Word document for each sermon or series and label it “Sermon Name/Series Name Research” and then copy and paste whatever you find. I’m not against that method, however, I think there’s a better method. What is that method? When you are reading your Bible, make it a regular practice to take advantage of the “Notes” function through YouVersion (on your tablet or phone) and Bible.com. When you are reading and a thought comes to mind, click on the verse or passage and take some notes on that verse or passage. Then continue reading. When you are at the point of deciding what specific passages you will be preaching on in a sermon or sermon series, you can then go to YouVersion or Bible.com and see if you have already recorded some notes on those passages. These can then be copied over to Evernote and plugged into your Bible Insights notebook and tagged with the corresponding sermon or sermon series. I know that the news can be depressing, but it’s so vital that we be aware of what is going on in the world so that we can speak to those things from a foundation of Scriptural truth and grace. 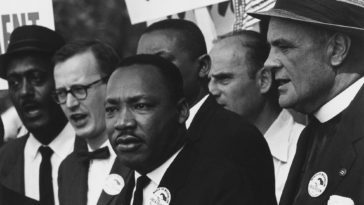 When you read something that will preach, take your Evernote Web Clipper that you install on your browser and clip it to Evernote in the corresponding research notebook (Illustrations or Articles depending what it is), and then tag it to the sermon or sermon series it relates to. When I say ‘relevant’ what I mean is to plan on having some of the books you regularly read for ministry intentionally relate to the things you will be preaching on in the future. If you do this on your Kindle it makes your research completely searchable and taggable within Evernote. You can do this with print books, but it will take much longer. 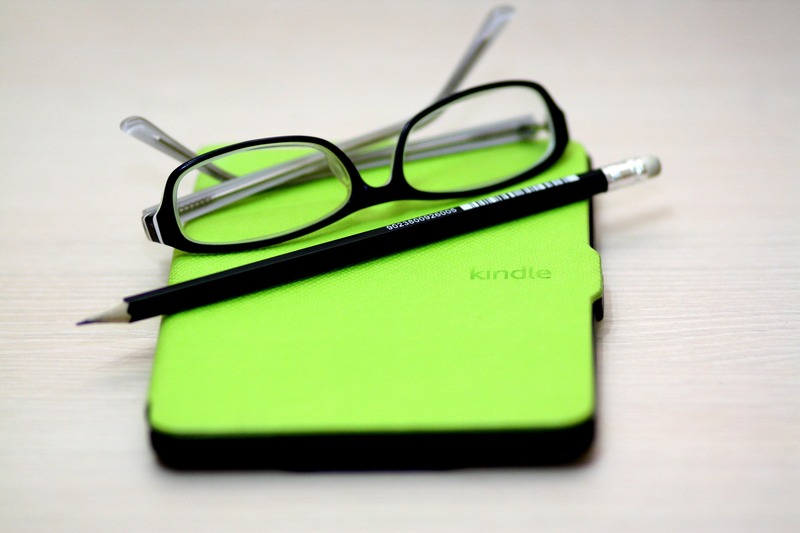 If you read from a Kindle or the Kindle App, all your highlights are stored within your Amazon account. Here’s the link to find your highlights in one place. Then simply copy and paste all your quotes into your Quotes notebook within Evernote. 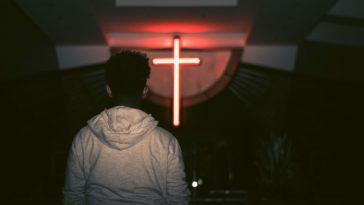 Be sure to tag the quotes with as many relevant tags as you can as you’ll probably be able to use many of the quotes you copied for more than one sermon or sermon series. If you’re not already acquainted with the vast field of Christian blogs, check out Jeremy Myers’ top 100 Christian blogs. I follow a number of blogs and keep them all in my Digg RSS Reader that way I’m not wasting time visiting each individual blog I follow. Instead, I can see all the headlines of the new content from the blogs I regularly read and see if anything catches my eye. 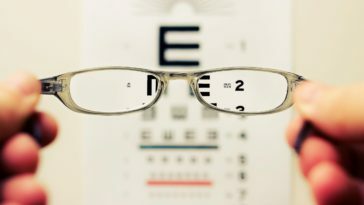 When you find an article that you believe would be relevant to a sermon or sermon series, clip it (with the web clipper I talked about in point 4), and tag it with the relevant sermon or sermon series. Shameless plug: I write about Jesus, culture, life, and all the dynamics related to living an abundant life in Jesus in today’s society on my personal blog three times a week. The best illustrations, insights, and quotes you come up yourself probably come to mind when you’re doing something other than sermon prep. As soon as these things happen, add the illustration, insight, or quote to the corresponding notebook within your research notebook and tag it if you know that it relates to a sermon or sermon series. If you’re short on time, Evernote gives you the ability to record a voice memo within a note instead of typing it all out. This is especially helpful if your insight or illustration is particularly long or you’re not sure exactly how to put it into exact words. This way you can talk it out. As you get into a groove of regularly doing these things and they become rhythms that are a part of your ministry week, you’ll experience better sermon prep. You’ll have a starting point of compiled research by checking your sermon or sermon series tag that you used for all your research and you’ll be a step ahead of the game so you can read, pray, and dive into writing your next sermon. What rhythms do you have that help you in sermon prep? Share in the comments below, on Facebook (Group | Page) or Twitter. I’d love to hear from you!